In the natural world imitation isn't just flattery, it's sometimes as a way of protecting itself from predators. For example, by mimicking the colours of the awful tasting queen butterfly, the viceroy butterfly fools predators into thinking it tastes awful without actually having to go to the trouble of being nasty tasting itself. Katy Prudic, an assistant professor in the College of Agriculture and Life Sciences at the University of Arizona, wondered, what happens when the mimic (viceroy) and the model (queen) go their separate ways? What she and her teammates found was that the mimic has a toxic back-up plan for when there aren't a lot of queen butterflies around. The group studied these two butterflies in Florida. 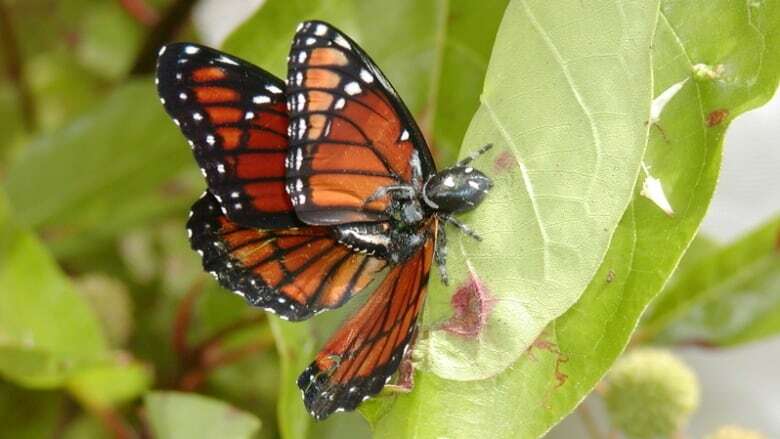 Both are orange and black in colour with a wingspan of about 50 to 80 millimetres. They're in in the same family as the monarch butterfly, in fact the viceroy mimics the monarch in the northern parts of the United States and Canada. Prior to this study, the researchers assumed that any population of viceroy butterfly would be easily preyed upon if they were living in a region where predators did not know the awful tasting queens. But they were surprised to discover this was not the case, as the viceroy apparently has an evolutionary back-up plan. 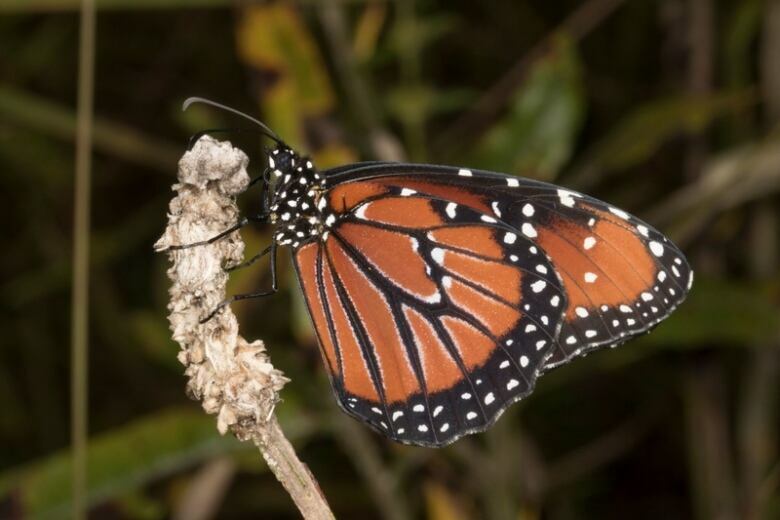 Viceroy butterflies living alongside queen butterflies in southern Florida were compared to viceroys living in northern Florida, in which there are no queens. 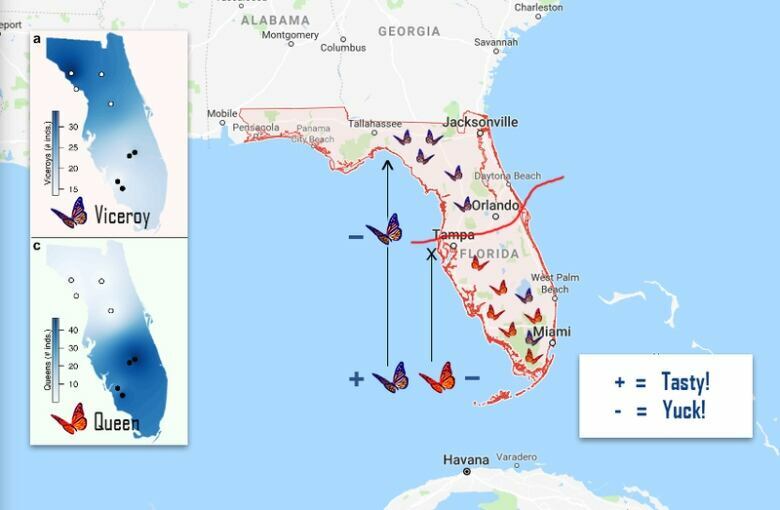 Much to the surprise of Prudic and her colleagues, the viceroy butterflies living alone in the Northern parts of Florida, have their own toxins - quite different from the ones the queen butterfly uses. These toxins it apparently had collected and absorbed from the willow plant that it eats, and were related to aspirin. Prudic believes that when the viceroy lives alongside the queen, it may get rid of the toxins it accumulates from its willow plant diet when it metamorphoses from caterpillar to butterfly. Storing these toxins in its body probably had a metabolic cost. When it lives independently and isn't protected by the queen, that cost is a price worth paying so it retains its toxins. Just how the butterflies know when to keep and when to get rid of its toxins is still unknown. Prudic predicts it may be due to a maternal effect. "Often in the field I would see a female viceroy sitting on a willow leaf trying to mind her own business and a male queen would come up and dance around. She might be evaluating whether queens are present and laying eggs that tell the larval that queens are going to present. There's a chemical cue and this happens sometimes in insects."